To some apartment owners, social media is a powerful fad-the huge wave that you must ride while the tide is high. To others it is simply a buzzword and cannot replace other forms of marketing and communication. In reality, it lies somewhere in the middle. Social media can provide one of the best and most affordable marketing opportunities today and offers other benefits for your business as well. If you have not investigated the sites, you are falling behind in a quickly changing world. Consider these six reasons why you should be utilizing social media as part of your communications and marketing program. Advertising Vacant Units – Today, when people look for a place to rent, where do they turn? In many cases, it is social media. If you have a social media presence, you make it easier for you, your current tenants and others to share your vacant units with potential renters. Simple Communication – While Tweets and Facebook messages may not replace all your customer service communication, it does make it easy for your tenants to reach you with a simple question or comment. Improve SEO – SEO (search engine optimization) is the key to getting your apartment to appear higher in the search engine rankings. 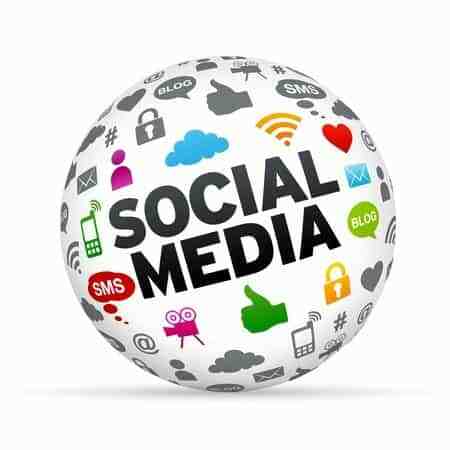 Well-developed social media profiles are a big asset to your SEO. Gain Insights – Social media is an excellent way to find out what your tenants, and the public, thinks about your apartments. You will be able to track shares, comments and likes. This information is invaluable and can help you make changes that will help you grow—now and in the future. Everyone Else Is Doing It – Even if you don’t like the idea of social media, and want to ignore the sites, one simple fact is that your competition is taking advantage of this tool. If you are not on social media, you are giving your competition a leg up on you and you will miss out on opportunities. When it comes to social media, the longer you wait, the more you risk losing. Social media, as a marketing and social tool, when done right, can lead to more traffic, more tenants and a better rapport with your renters, vendors and the community surrounding you. Don’t waste another day ignoring social media, it is not going away—take that first step and join the social media revolution. When it’s time to update and renovate an apartment, there are a number of different things to consider. One of those things is the time of year you’re going to be offering that apartment for rent. While you need neutral colors that look good all year round, you also want to appeal to potential tenants when they first walk in the door. As spring approaches, it’s important to look for colors that are going to work well with that time of year, and evoke the feeling of home to anyone who comes to see the apartment. Many people associate spring with softer colors, like pastels. Light blues, greens, and yellows are commonly used during that time of year. Of course, the colors you use in the updated apartment won’t change with the seasons, so that’s an important consideration. By selecting light, airy colors, you can update the apartment for springtime but also keep your tenants happy throughout the year. Especially in climates where it’s cold and dreary during the winter months, those softer, cheerful colors will be a great choice when it comes to making your tenants feel happy and comfortable. Another consideration regarding colors is avoiding anything that might easily clash with furniture or other belongings. If a potential tenant thinks that their belongings aren’t going to look good in the apartment without repainting all the walls, that potential tenant may decide to look for something else. Repainting an apartment and getting it ready for spring can take time, and you don’t want to do all that work just to have a tenant ask if they can repaint it before they move in. Some apartment complexes don’t allow tenants to paint the walls at all, while others agree to it, provided it’s repainted the original colors before the tenant moves out. If you choose your colors wisely, you’ll have happy tenants and you won’t need to worry about those tenants wanting to repaint the apartment. The colors will last for a long time, and they’ll work with each and every season as tenants come and go over time. The more light and neutral you decide to be when choosing colors, the longer those colors will work in the space. That doesn’t mean you shouldn’t consider doing something bold, though, as long as it’s not carried through the entire apartment. A lot of landlords like to create an accent wall in the living room, or another area of the apartment, to provide some visual interest. If you do that, you could use a pale yellow on the walls and a darker or brighter yellow in only one area, for example. No matter what you choose when you’re updating an apartment, remember that spring colors can be popular choices all year round. Since they generally make an apartment feel lighter and bigger, many landlords use them on a regular basis, no matter what time of year they choose to make renovations and updates to their existing apartments.